Gymboree’s Friends & Family event begins November 5th and runs through the 8th. Take along this coupon to save 30% off of your entire purchase. If you would rather shop at home, you can use the code GYMFAMILY and still get the discount. 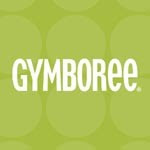 They are also offering Gymbucks as well — so spend $50.00 and get $25.00 to spend later on.